I have been on this site for about 2 years and thank Wendy for creating it. 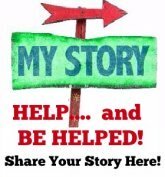 I have benefited from many of the stories and posts. Some folks on this site are so joyful - I just love reading about your pursuits. And others had a significant negative experience after retiring. I came out of that and I have felt pretty good over the last year. But one thing I noticed is that my happiness and then sense of depression/uneasiness/boredom comes in waves. I will feel good for awhile and then feel myself being more melancholy than usual. It is at those times that I think of my life with regrets instead of joy. I really get frustrated with myself, as I have had a good life and I can't do anything about the regrets. Intellectually, I know that life is short and it is silly to waste this time moping and feeling sorry for myself. I wondered if this is just natural, i.e., you can't be happy all the time or whether I need counseling, etc. I meditate (not regularly) and try to do things with friends, etc., but I really get frightened by the prospect that my "lows" will increase. I have been retired almost four years now and find that winter causes a huge wave of depression, anxiety and regrets. Things aren't perfect in spring and summer, but the ability to get outside and breathe fresh air helps. Counseling is a good idea because it probably replaces the usual networking and chit chat you had in your work life. I find that when I go out with friends, we are reconnecting and giving each other a synopsis of what is going on in our lives but we are not getting below the surface. I went back to work and find that just having a place I have to go and a schedule helps to keep my days from seeming too long and too empty. Sometimes I too worry that worrying, anxiety and depression gets worse with age. Then spring pops up and I get outside and start working in my yard and think...phew. I made it. I share your anxiety and depression. I try to tell myself to STOP! it's a habit ingrained...still we need to be hopeful and positive. Looking at the good in life. If your lows are interfering in your life, tell your doctor. There are physical problems that cause it sometimes. Maybe it's thyroid or something. Your doctor can help sort that out. Counseling is also a smart idea. You can learn how to stop negative thoughts and work yourself back around to the positive view of life you normally have. You can also find out if your ups and downs go along with anniversaries of sad things, or weather, or the darkness of winter. That opens up more ideas of things that help. I would try these first and if along the way an antidepressant is suggested, there are some good ones that don't cost an arm and a leg. Check your formulary with your doctor. It could take a couple of tries to find one that works well for you. It's not a quick fix but it does help keep the wolf from the door. Me too, I'm riding the wave. I am single live alone. I am contented and grateful everyday, but am lonely. I do volunteer work every week. I visit my family once a week; two grans. They cheer me!! I realize it is my responsibility to make a life for myself. I am working at it and it is work! Life is grand, but hard work! I think the work makes it worthwhile because it is a learning experience. room by myself. I know what that feels like and it is terribly lonely. Just keep on working at being retired and enjoy yourself! I could have written your post. For the most part I am happy with retirement. This is my 6th year. But I do have lows. I also have regrets. I recently started counseling again. I found an online counselor. That works best for me. I also have creative hobbies that make me happy. One thing you shouldn't do is beat up on yourself for having lows! I think that is only natural. I Thoughts are not actions and don't HAVE to lead to them. Thinking about confidence in your ability to think positive thoughts will help. I just returned from a weeklong "detox" program I go to once a year when I can. It's a raw food vegetables and fruit) exercise, meditation, classes in nutrition and thought processes program. You are on the right road because you already meditate. See if you can meditate 3 times a day, once for 20 minutes and the other two times for 5. Concentrate on your breath: deep breathing helps ward off breathing problems later in life too if you do this daily) breath deep hold for a second and breathe out all the way and so on. Concentrate on it so you can ease your mind, good luck. Write me if you want to talk about it, I know you can do it.